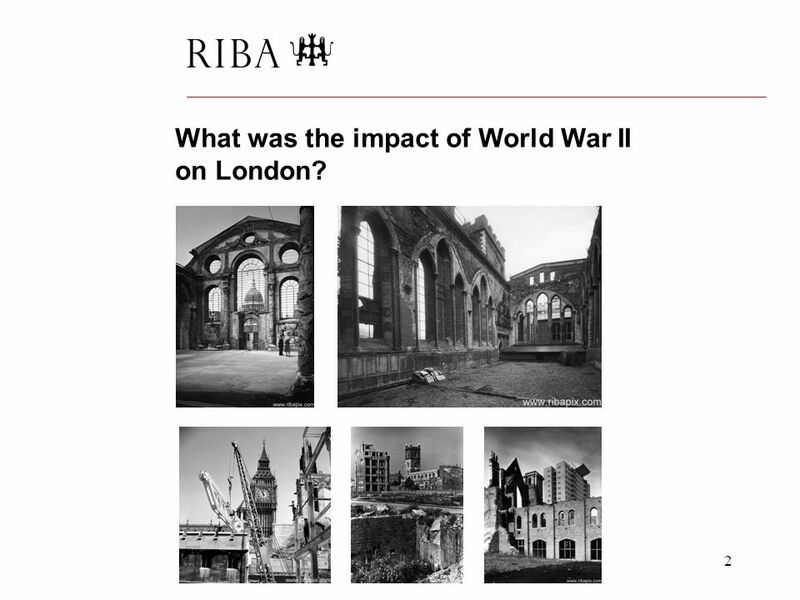 2 2 What was the impact of World War II on London? 3 3 Lambeth Palace, London: the remains of the chapel after bomb damage, 1950’s © Royal Institute of British Architects The German air raids of World War II caused immense damage to the cities of Britain, such as Liverpool, Southampton, Birmingham and most notably London, resulting in many lost lives. 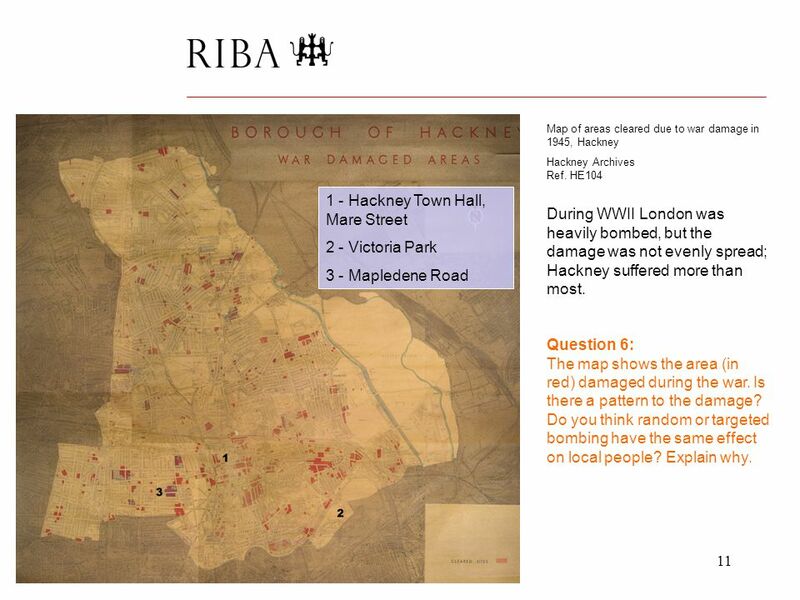 Question 1: Particular cities were targeted for bombing, can you think why? 5 5 The dome of St Paul's Cathedral seen through the ruins of St Mary-le-Bow, 1940’s © Royal Institute of British Architects St Mary-le-Bow was designed by Sir Christopher Wren. In 1941 it was destroyed during the Blitz but was rebuilt and re-consecrated in 1964. 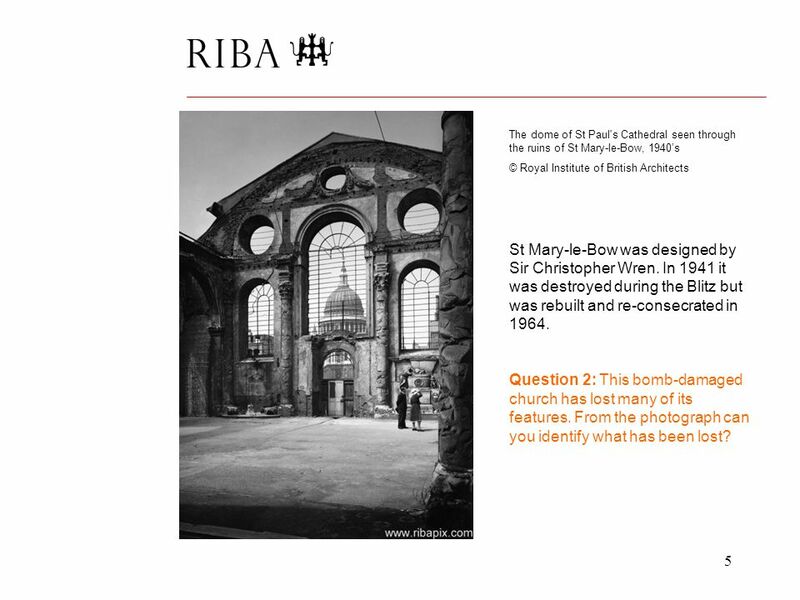 Question 2: This bomb-damaged church has lost many of its features. From the photograph can you identify what has been lost? 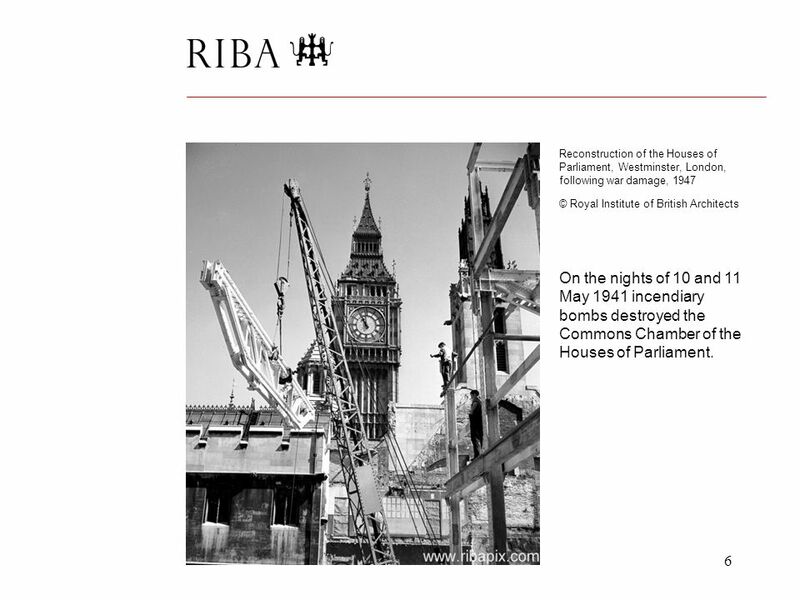 6 6 Reconstruction of the Houses of Parliament, Westminster, London, following war damage, 1947 © Royal Institute of British Architects On the nights of 10 and 11 May 1941 incendiary bombs destroyed the Commons Chamber of the Houses of Parliament. 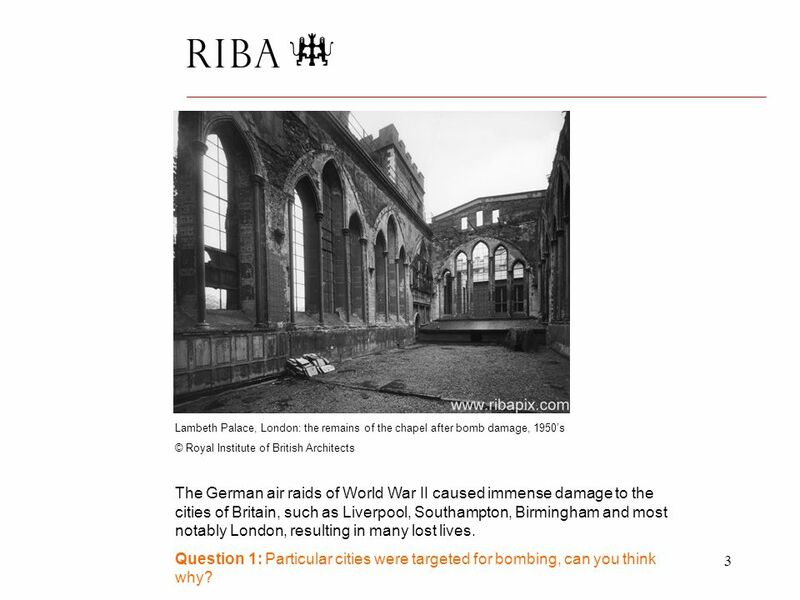 7 7 Surviving buildings and ruins after bombing raids during WWII, Barbican, 1940’s © Royal Institute of British Architects After the war the Cripplegate area was redeveloped to create the Barbican, a residential and arts complex. Only the Church of St. Giles Cripplegate from the photograph survives today. 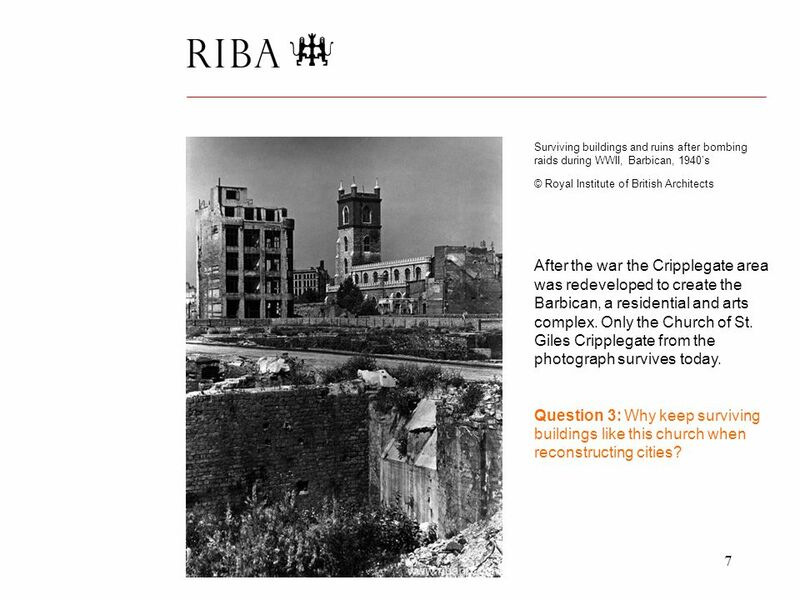 Question 3: Why keep surviving buildings like this church when reconstructing cities? 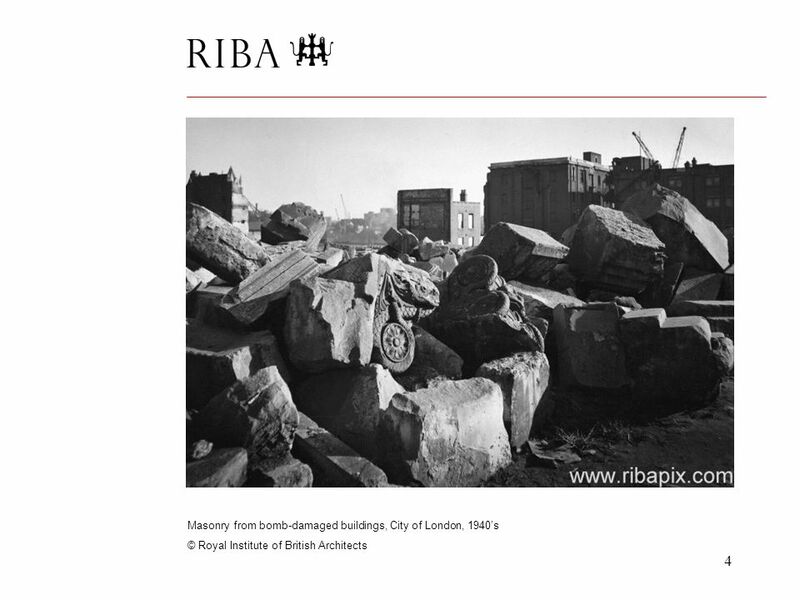 8 8 A glimpse of the Golden Lane Estate through a bomb damaged building, 1957 © Royal Institute of British Architects The Golden Lane Estate is adjacent to the Barbican, and built in the 1950’s. 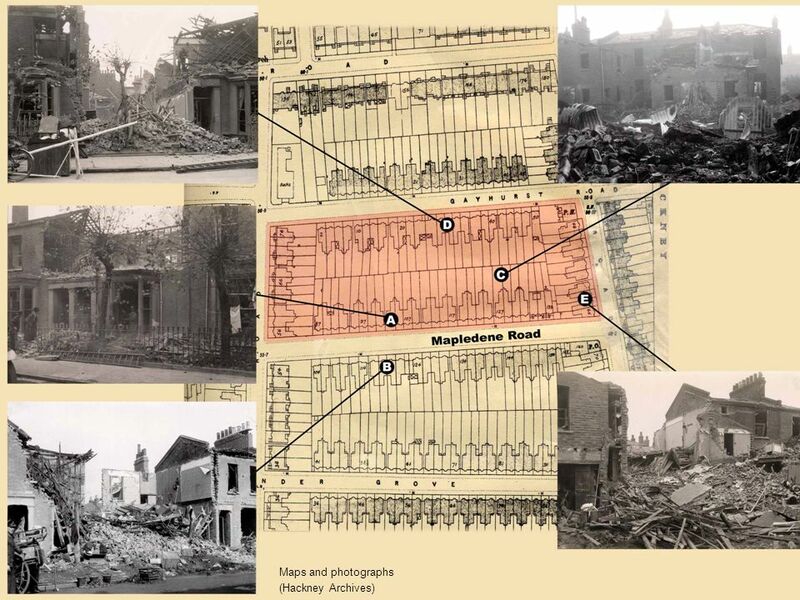 The area had been severely damaged by bombing during the war. 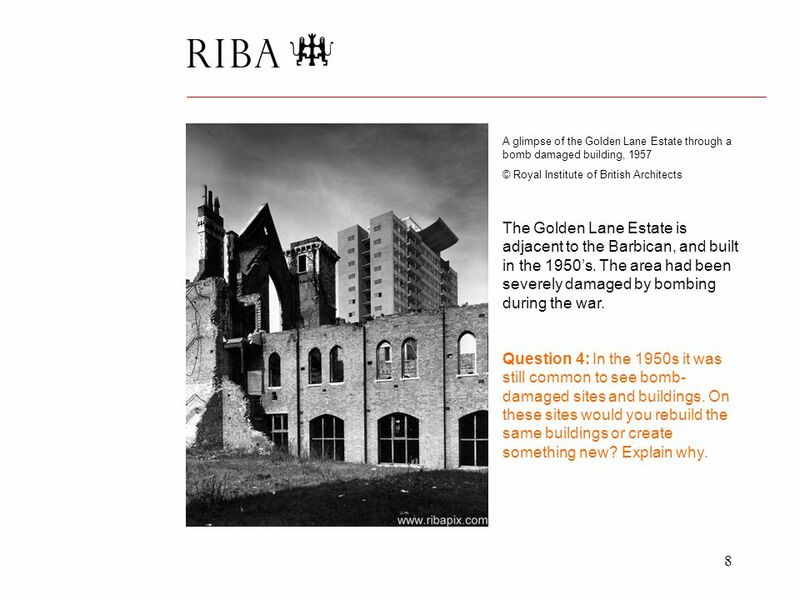 Question 4: In the 1950s it was still common to see bomb- damaged sites and buildings. On these sites would you rebuild the same buildings or create something new? Explain why. 9 9 London Underground tunnel shelter, with a doctor's examination room and sick bay, 1942 © Royal Institute of British Architects During the war the tube tunnels of London Underground were converted into bomb shelters. Some were equipped with medical facilities. 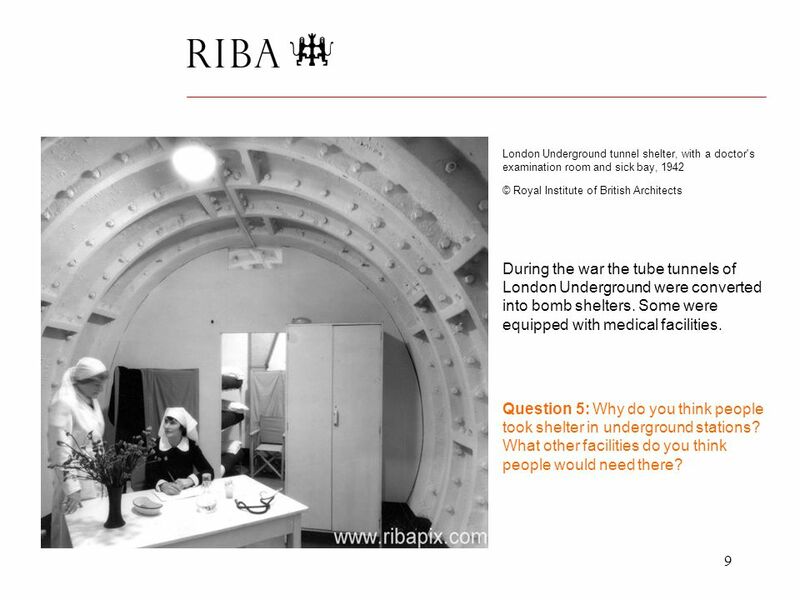 Question 5: Why do you think people took shelter in underground stations? What other facilities do you think people would need there? 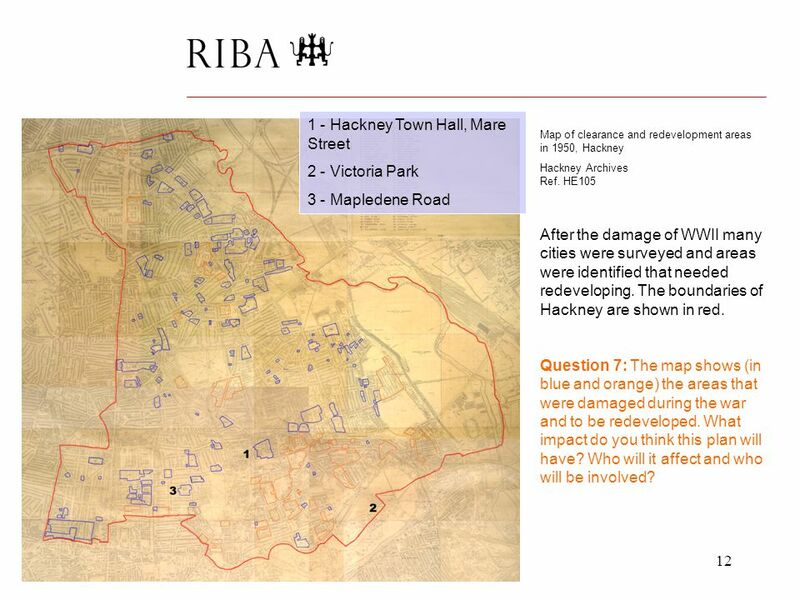 10 10 What was the impact of World War II on Hackney? 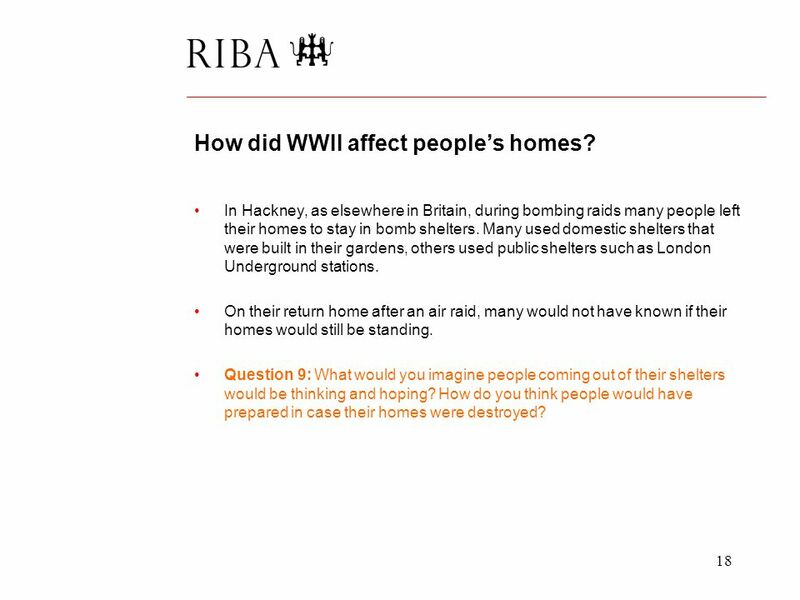 18 18 How did WWII affect people’s homes? 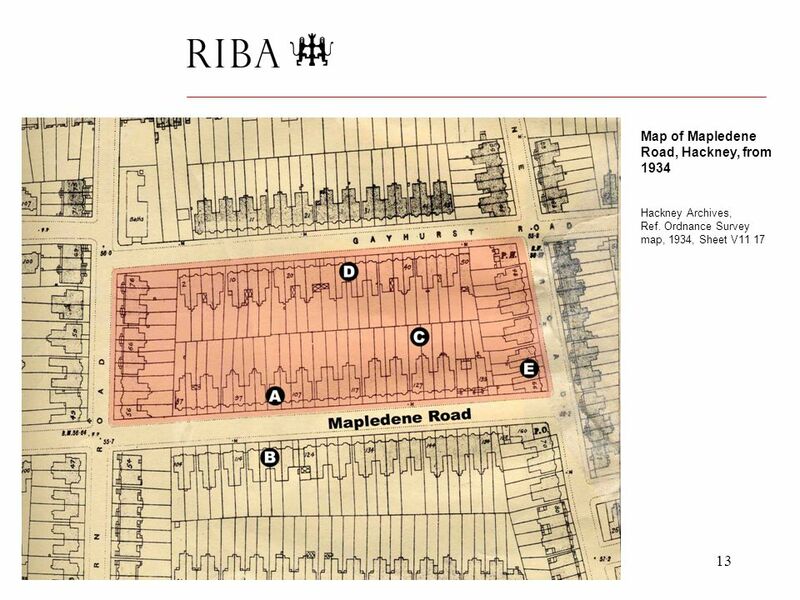 In Hackney, as elsewhere in Britain, during bombing raids many people left their homes to stay in bomb shelters. Many used domestic shelters that were built in their gardens, others used public shelters such as London Underground stations. On their return home after an air raid, many would not have known if their homes would still be standing. Question 9: What would you imagine people coming out of their shelters would be thinking and hoping? How do you think people would have prepared in case their homes were destroyed? 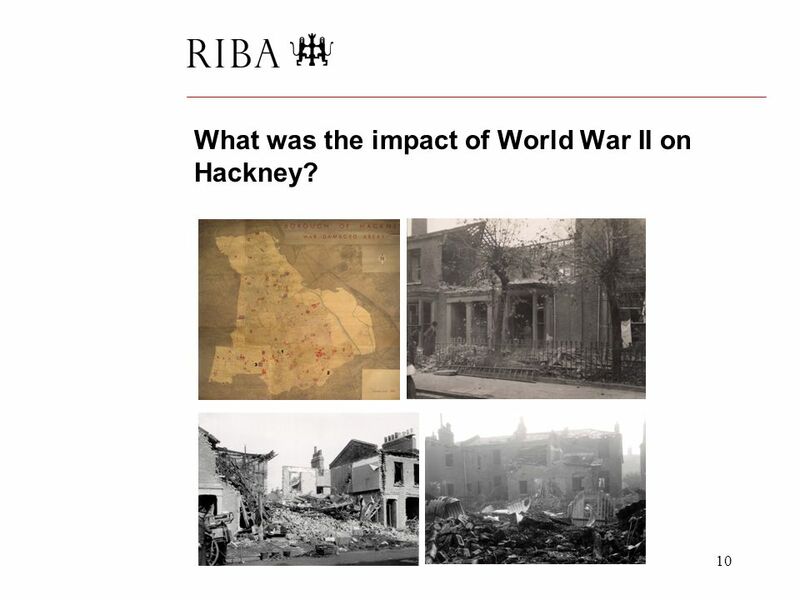 Download ppt "1 What was the impact of World War II? 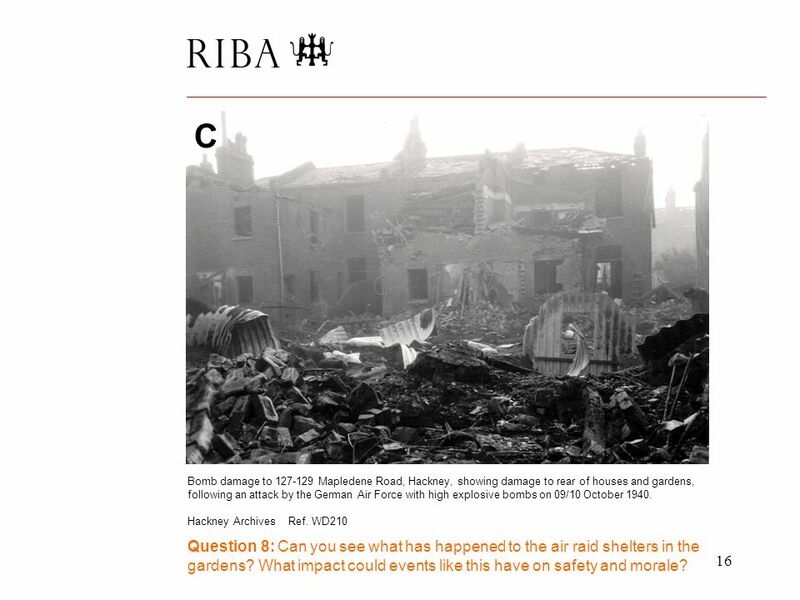 Lesson 1, Presentation Supported by: Developed in partnership with:"
The World war ii is the war World War II where Germany bombed Poland first then came to the U.K.
Wartime Conditions During World War 2: A Personal Narrative Presented by Mrs. M.A. Watson Georgetown District High School Nov 16 th /07. The blitz By Cameron & Louis. 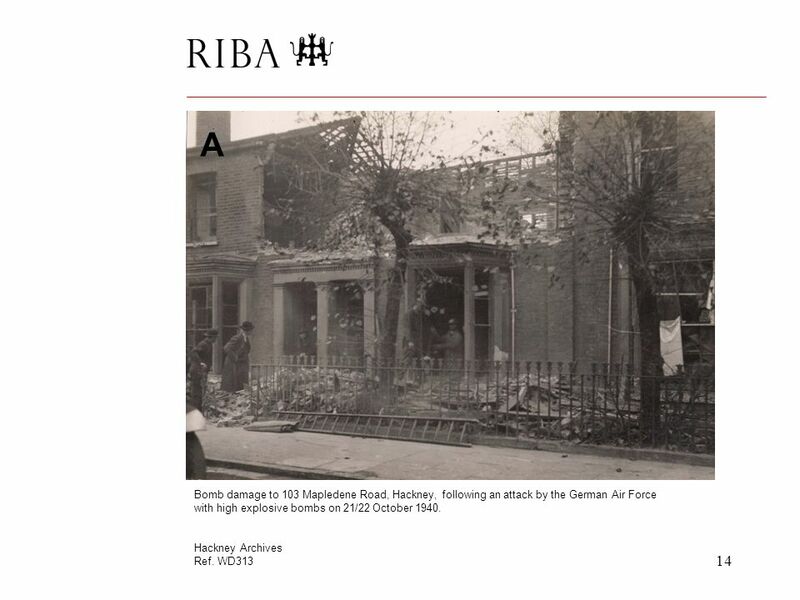 At 4:56pm on the 7 th of September 1940 the blitz started. The blitz finished in May Bombs had hit Buckingham palace. World War II World History A view of Big Ben through barbed wire entanglement. 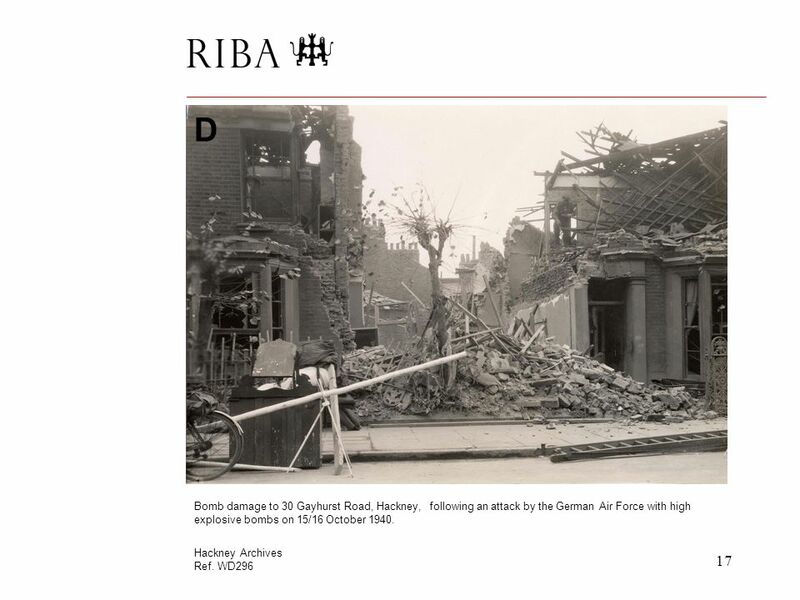 WORLD WAR II WHAT WAS IT LIKE IN THE BLITZ? THE BLITZ: FACTFILE The Blitz began on 7 September It started when Hitler changed his tactics during. Hitler becomes leader of Germany… When Hitler came to power in Germany in 1933, British leaders worried that a new war might begin. Saint Paul’s Cathedral Ophelia Luhur Kristin Pomeroy. London Quiz Работу выполнила: Канафина Анастасия, ученица 6 «Б» класса МАОУ «Гимназия № 1» города Соликамска. Unit 5: How do we know about the Great Fire of London? Let’s do sightseeing. London London London is the capital of Great Britain. It is on the river Thames. London is divided into three parts: West End, East. “The Demon Lover” Background. About the author… Elizabeth Bowen ( ) –Born in Dublin, Ireland. –Father suffered a nervous breakdown when she was. 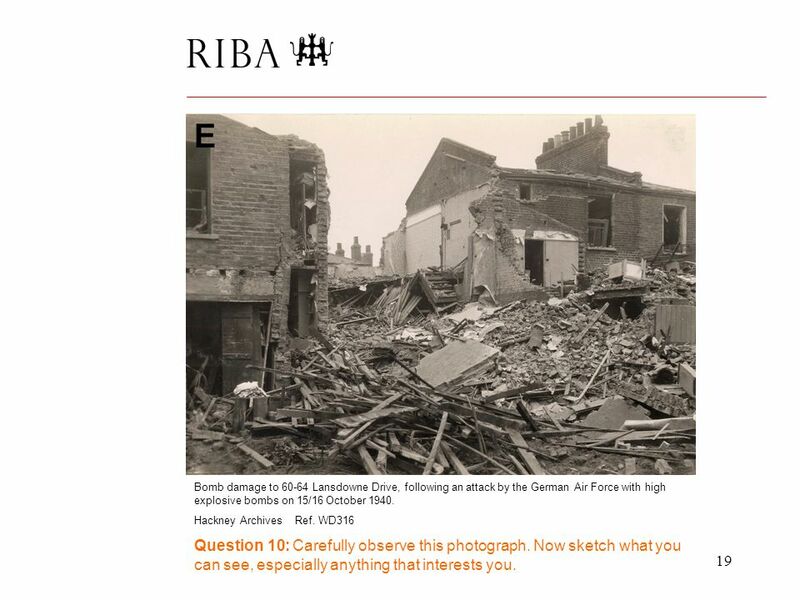 What effect did the blitz have on world war 2? The Blitz During World War II. 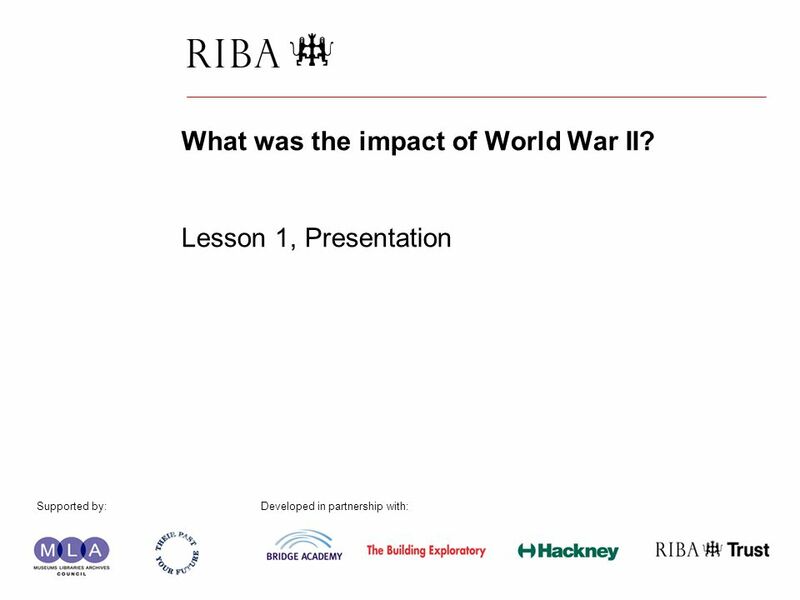 Introduction to the unit The Impact of War on Britain c1914-c1950. 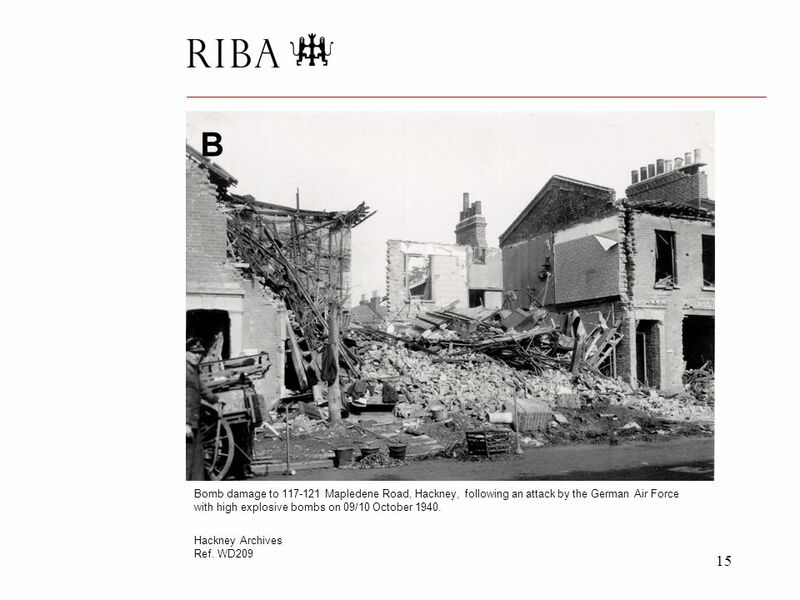 Top 10 Devastating Bombings in WWII. 10. Osaka (March-August 1945) – 10,000 killed A total number of 274 American B-29 heavy bomber airplanes attacked. River the Thames From the station... … by red bus.